The supported operating systems are : Windows 7 / 8 / 8.1 / 10 and Windows Server 2012 / 2016 ( 64 bit version only ). It is particularly useful for multicam ingest and conformance recording because it supports up to 8 video inputs and each input supports 2 simultaneous recordings. The program supports AJA, DeckLink and Intensity cards and devices. The input can be set either analog or digital depending on the capabilities of the card. 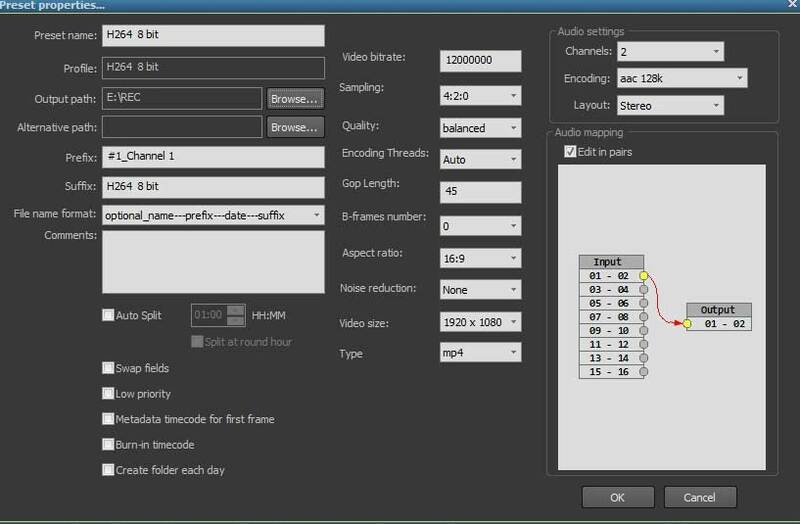 The software can generate proxy resolutions for all video modes. Up-converted 1080i files can be generated when the input is set to SD (either 4/3 or 16 /9). - support for managing BlackMagic Design Videohub switcher over network. The software contains a watch-dog application that esures the functionality of the MagicSoft Recorder and sends the status and alerts by SMTP email. MagicSoft Recorder works for all video modes by capturing the input video as YUV 4:2:2 10 bit and it can process up to 16 audio channels (32 bit 48KHz) depending on capabilities of the used frame-buffer. The files can be stored locally or over the network shared locations. The most important thing to consider is that the video frame-buffer must be compatible with the motherboard and the rest of your system. Our software will work for sure if the systems are configured correctly.